I hope you'll be just as excited as we are about the response that we're getting to our "Verse of the Day Plus" launch. We're on the third day of the launch period - closing Friday at midnight - and we have been amazed how many people read the sample reading that we released yesterday. Do watch the (short) video below for more details. There will be a second sample reading available tomorrow, but remember that you still have until Friday midnight to join us in the "Verse of the Day Plus" learning community. Do leave a comment below and let us know that you're excited too! If you missed the earlier parts, just click on any of the "Workshop" articles in the left-hand column and then come back for this one. Toda raba for this profound teaching. It is understood by me, some years past that Almighty G-d equips His children with giftings. Through completing a Questionnaire many years ago now, the following gifts were recognised for me as His humble servant. The gifts are : Serving, Faith, Encouragement and Prophecy. To date; some more than 30 years plus; I am berefit in understanding my gifting in prophecy. 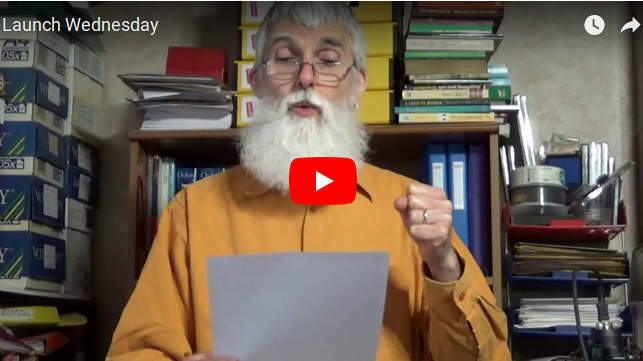 As I listened to this video clip for Wednesday, I heard that others are also asking questions about prophecy in The Bible. I would deeply value teaching and understanding on what having a gift of prophecy is understood please in Biblical terms. Shalom ! Just recently whilst in Israel, I was very privileged and greatly humbled to be amonst others in whom this Prophetic Calling is evident for The Glory of G-d. I further understood that "the fields are indeed white unto Harvest". A very exciting time is currently happening in Israel, and also in the near future.